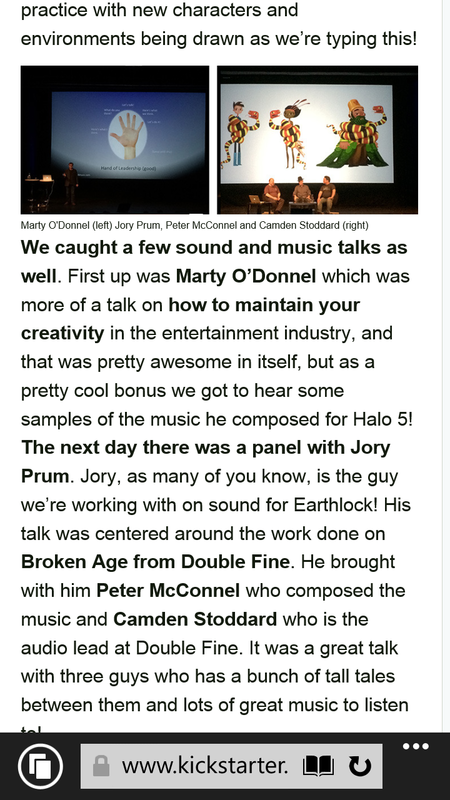 Marty O’Donnell Working on Halo 5?! The following screenshot was posted in a NEOGaf thread earlier today, showing a writeup from the Nordic Game Conference a few weeks ago. The screenshot is taken from the following Kickstarter page, and the wording has since been changed. I do not quite know if the text in the screenshot is legit, however it does seem like someone had posted the text and then later revised it. A NEOGaf user in the same thread said the following. It’s unclear to know if this Kickstarter page is true and was then redacted because of the information, or if this was just to gain some traffic. More to come I imagine at E3 this Monday. ← Xbox One Controller Support for PC and a Halo 2 Anniversary hint?